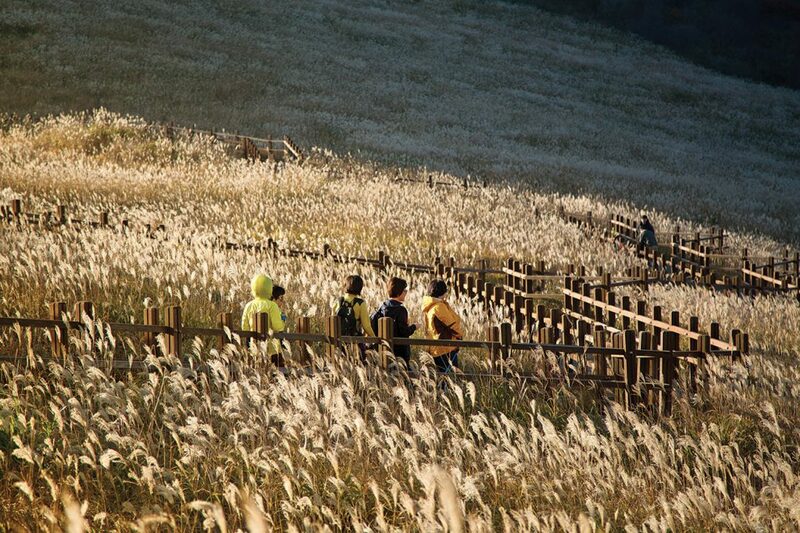 The city of Ulsan is skirted by a ridge of mountains offering pristine hiking and impressive views. One might not expect to see such beauty inbetween the steel mills of Pohang and the chemical, car and ship factories in Ulsan. 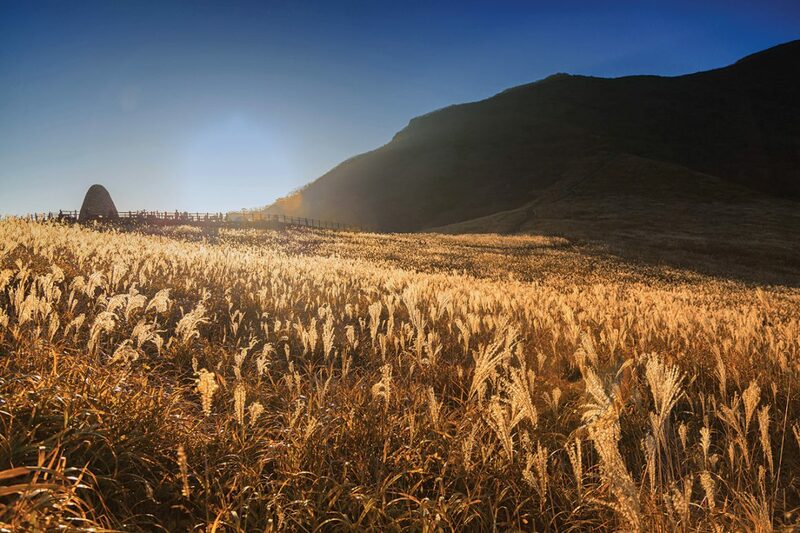 Yet the Yeongnam Alps stand as a reminder that there is still beauty in the region. The alps cover almost 255 square kilometers of terrain and are covered in hiking trails that allow the visitor to see the immense beauty of this region with varying degrees of effort. However, the best time to visit the area is in the fall as the leaves change and the silver grass is in bloom. This also means that that the area is full of hikers and campers from sun up to sun down and even in between. This should not stop you from enjoying the beauty of this mountainous region, but just be prepared to share your view with hundreds of other hikers. This time of year, the trail up Mt. Sinbulsan is packed with people. Mt. 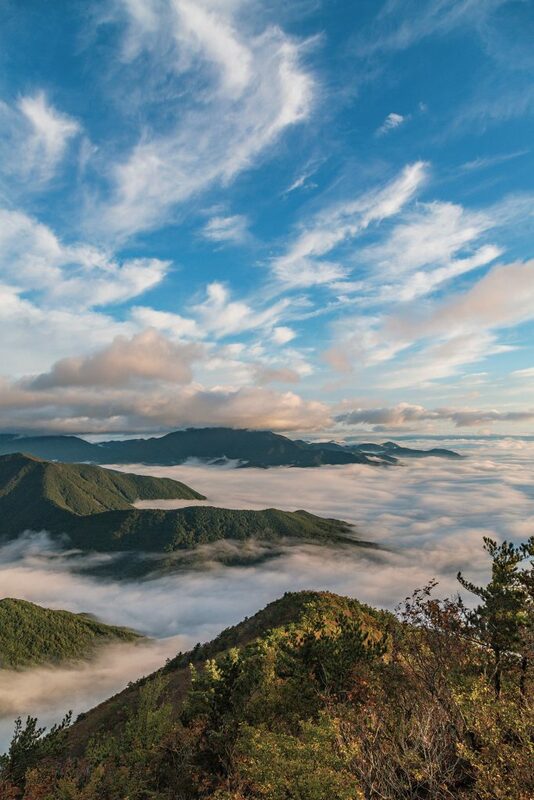 Sinbulsan is one of the Yeongnam Alps’ premier destinations for hiking. The base of the mountain has been turned into a mecca of alpine pursuits. The newly built visitor center boasts a beautiful design and hosts the Ulju Mountain Film Festial. 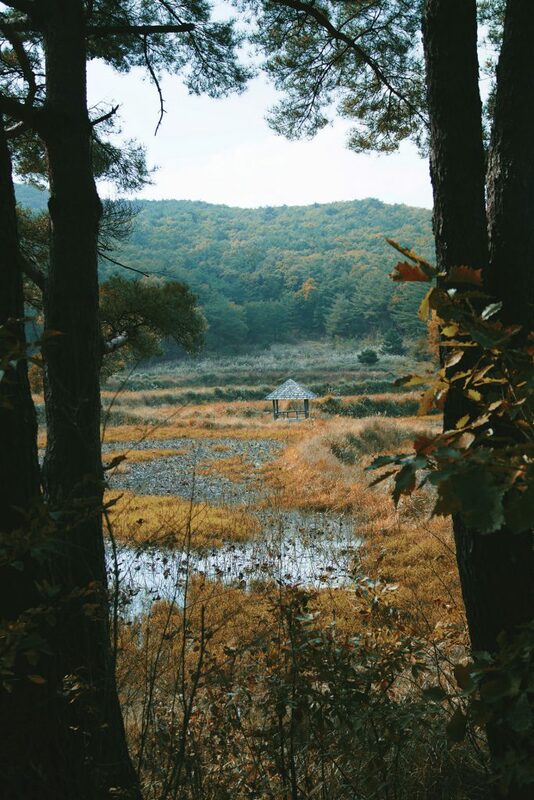 When the leaves change and the silver grass, or eoksae, is in bloom, Mt. Sinbulsan draws hundreds of hikers every day and more on the weekends. The trail is the most popular one within the region and without a doubt the most beautiful. A good tip for those would-be hikers is to hit the trail early, and by early we mean start hiking at 4 a.m. This means that you will not only beat the crowds to the top but you will be there for sunrise. This is arguably the best time to see the area as the view from the top is second to none. Camping is possible at the peak but it is crowded. With the recent rise in popularity of tent camping, you will find many tents set up along the boardwalk at the top of the trail. There is plenty of accommodation near the trailhead, however, and just past the brand-new visitor education center. The trail itself is well maintained and almost like a road in some parts. It is easy to navigate but gets steep in some parts. Make sure to bring a headlamp, plenty of water and some sturdy hiking boots to help you get to the top in comfort. If you continue hiking past the silver grass, be sure to check out the Paraeso Waterfall, located a few kilometers away from Mt. Sinbulsan. Hikers can find trails leading to the waterfall from the mountain. Again, due to the popularity, much of the trail to Paraeso is paved. The area has no shortage of Buddhist temples and impressive ones at that. 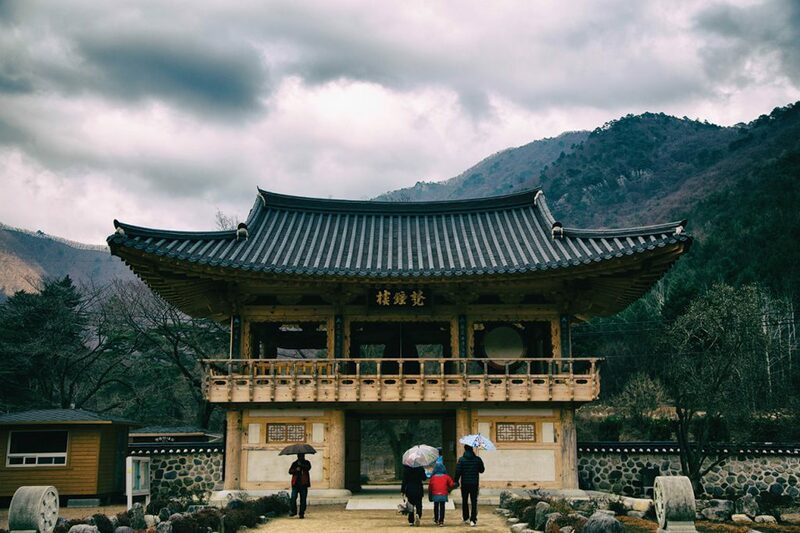 While the most famous temple in the area is the sprawling monastery Tongdosa Temple, there are a few other temples that will have you enamored by this mountainous region. If you are set on Tongdosa, you might want to take a hike past the main temple area to one of the many hermitages that surround the temple. Hiking through the countryside along the trails in the fall is challenging but well worth the effort. Located near the bottom of Mt. Gajisan is Seongnamsa Temple, inhabited by female monks. It may not be as large as Tongdosa but what it lacks in size, it makes up for in beauty. After paying the admission fee, visitors can walk along the quiet road up towards the temple. This is skirted with a small river that adds a serene soundtrack to the hike. If you walk through the temple and up towards the stone pagoda, you can catch a view of the area. It is one of the few lookouts in the area where you won’t be blocked by massive apartment complexes. Just around the corner and over the steep mountain pass is another temple called Unmunsa, which also shares its beauty with the remoteness of its location. One of the more beautiful features of this area is the forest that surrounds the temple. Many visitors hike up into the mountains starting from Unmunsa. If you are getting hungry, stop into one of the many restaurants just outside the temple. The local dish is minari samgyeopsal. Minari is also known as Japanese parsley and is commonly eaten with pork on this side of the mountain and further out towards Cheongdo. The flavor of the minari really compliments the pork. It can also be eaten fresh with a little help from some spicy soy paste. This writer’s favorite temple is Hongnyongsa. 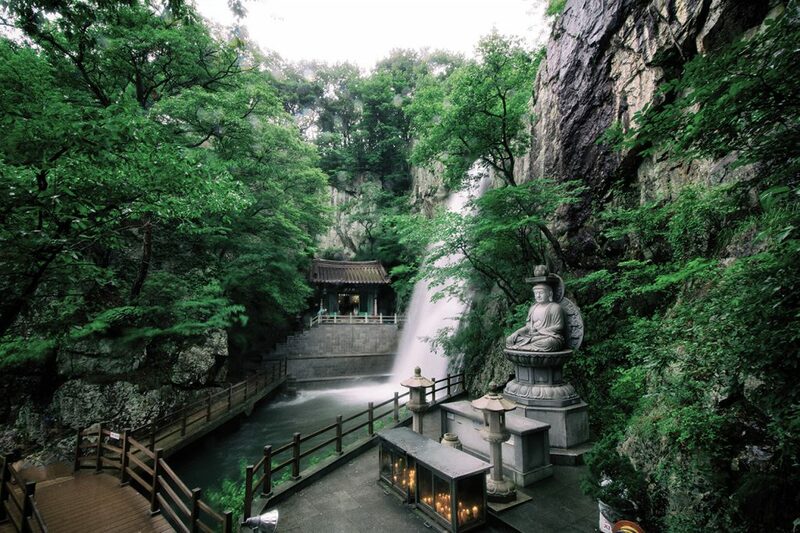 It is a small temple hidden in the mountains, but offers one a very unique view-the Hongnyong Waterfall. The tiny temple has an impressive waterfall flowing down the side of the mountain. Visitors can hike up to the pool surrounding the waterfall and pray to the Buddha statue or just try and find some peace while listening to the sounds of the falls. The hamlet of Eonyang is a typical country town and a gateway to the Yeongnam Alps. Buses leave regularly from the Eonyang Terminal to many of the trailheads and camping areas. The village is not without its own history, however. 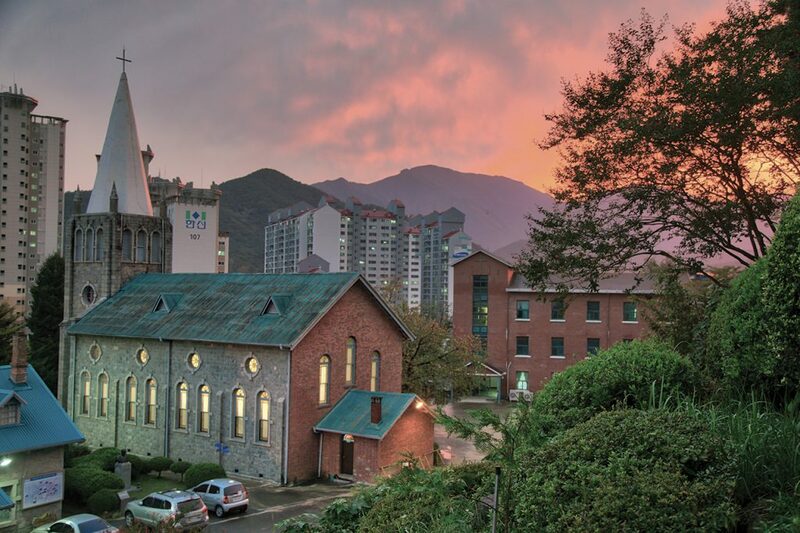 One historical site worth visiting is Eonyang Catholic Church. The old stone church, completed in 1936, mixes Gothic and Romanesque styles. Its old rectory is now a museum. Jakgwaecheon Stream is another significant spot in the village. The etchings on nearbyrocks contain words and poems from an age gone by. The viewing platform also makes a nice spot to just sit and take in the fall colors. Every year the area hosts an annual Bulgogi festival that you should not miss. 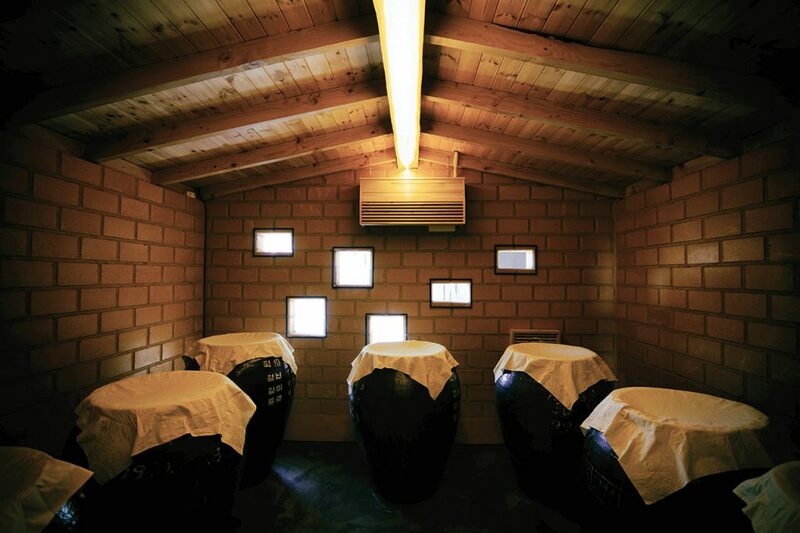 Another hidden gem is the local makgeolli factory. Boksoondoga Makgeolli is legendary in Eonyang. 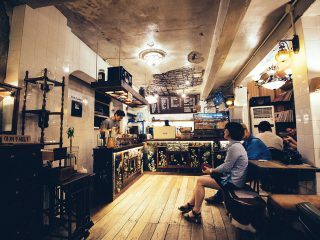 Its blend of modern design with traditional flavors makes it a great spot to visit and pick of some of the best makgeolli that you have ever tasted. When the leaves change and the silver grass, or eoksae, is in bloom, Mt. Sinbulsan draws hundreds of hikers every day and more on the weekends. STAY> There are tons of pensions around the area but the best ones are located near Sinbulsan Reed Park. 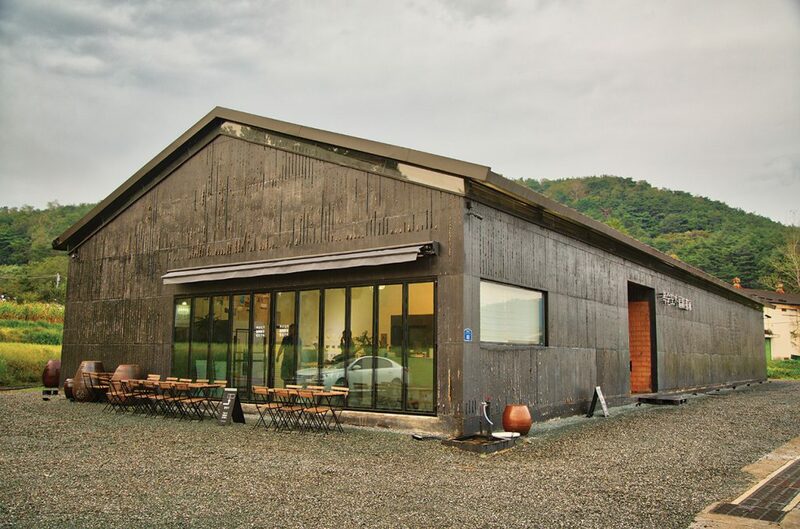 However, if you are looking for some simple accommodations, there is a newly built campground just up the road from Jakgwaecheon and near the entrance to the reed park. EAT> Eonyang bulgogi is the most famous dish in the area. There are numerous restaurants throughout the city serving this famous dish. If you are looking for nice place to eat after a long hike, try Gihwajip, just up the road from the Eonyang bus terminal. 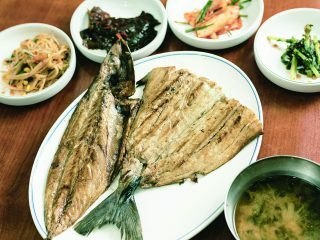 It offers bulgogi in a wonderfully traditional environment. GO> Eonyang is reasonably easy to get to. Just take the KTX to Ulsan Station and take one of the many buses or taxis to the Eonyang bus terminal. From there just take one of the local buses to any of the mentioned locations. Regular buses travel to the popular destinations throughout the day but be sure to check the times.